How to Upload Data into ChartsBin.com? 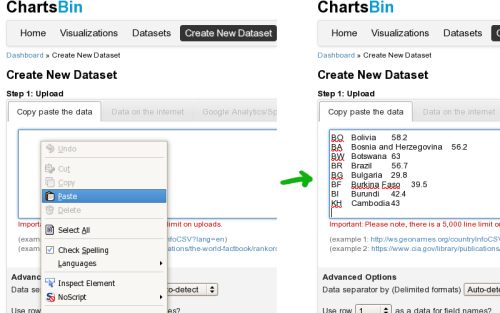 In this tutorial you can learn How to upload data into chartsbin.com? Step 1: Open Excel or CSV (comma-separated values) file and select range of cells you like to upload. Selecting 'Copy' from the menu which appears on the right mouse click or simply press Ctrl-C (Windows) or Command-C (Macintosh) to copy. 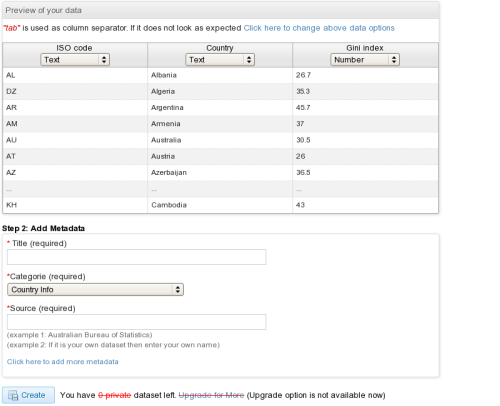 Step 2: Click on Create New Dataset from top menu bar. 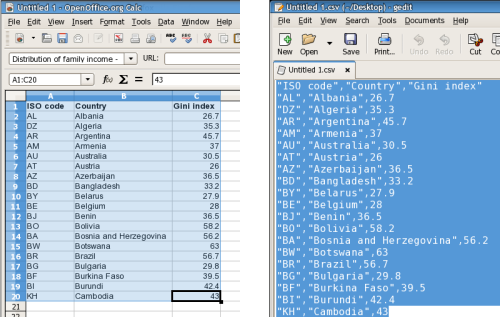 Click in inside textbox and paste in the data you have copied from Excel or CSV file. To do this, selecting 'paste' from the menu which appears on the right mouse click or simply press Ctrl-V (Windows) or Command-V (Macintosh) to paste. Step 3: Click 'Preview of your data' button. This will give you a table similar to that below. Enter 'Title' and 'Source' (If it is your own dataset then enter your own name) and click 'Create'. Congratulations!, you have successfully uploaded a dataset.